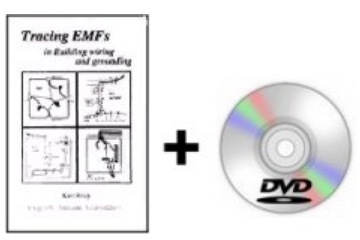 A practical guide for reducing AC magnetic fields produced by building wiring and improper grounding practices. Step by step instructions for detecting wiring problems and a full description of common wiring errors and how to correct them. This guide is for anyone who wants to inspect their own home, electricians and electrical inspectors, those starting a new profession in EMF consulting, as well as those involved with the process of building construction such as architects and contractors. Utility personnel involved in EMF measurements can profit from this information. 96 pages, spiral bound book. The DVD will enhance your understanding of the concepts in the book. 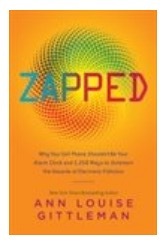 It graphically explains how certain wiring errors create high magnetic fields. It shows step-by-step methods of measuring the fields and then how to find the faulty circuit and the wiring error. Created under a grant from California Health Services to help school electricians reduce the magnetic fields found in the state's schools during a 90-school magnetic field survey. Filmed by the video dept. of Southern California Edison and using their graphics animation to show how the currents move in misconnected circuits. 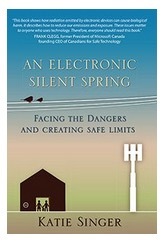 Written and hosted by Karl Riley, author of Tracing EMFs in Building Wiring and Grounding. 23 minutes.